4-piece rock band from Durham, UK Formed in 2013, made up of 2 brothers and a brother and sister, Kyle, Dylan, Fabaji and Mark have created a unique outfit that subtly blends EPIC choruses with HUGE rock riffs. They self recorded and released their debut E.P &apos;Whats On Your Mind?&apos; on July 12th 2014. 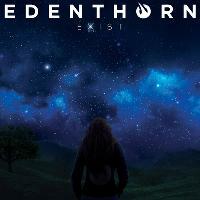 One week prior, on July 5th 2014, Edenthorn released &apos;Saviour&apos; as their first single from the E.P. This helped the band gain many loyal followers and fans. Shortly after, on the 21st November 2015, they released their debut album &apos;The Maze&apos; at an album launch show in Newcastle. Do you promote/manage Edenthorn? Login to our free Promotion Centre to update these details.